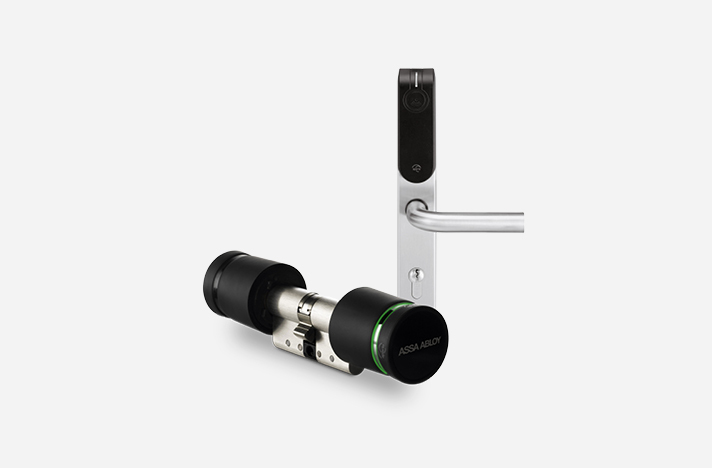 The Assa Abloy, Aperio lock solution is a technology range that enables mechanical locks to be wirelessly linked to existing access control systems. In the case when highly secure CEM readers are not required, doors can be fitted with Aperio lock technology, creating a fully integrated and managed lock solution within the AC2000 access control system. This eradicates the need to exchange or update user credentials to support wireless locks. Aperio lock solutions currently support 13.56 MHz MiFare and iClass card technologies and come in both Escutcheon and Cylinder versions.